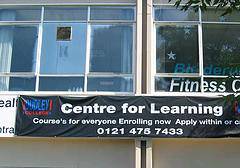 Confidentiality and blogging as reflective practice? Last year I wrote a blog post on ‘7 Reasons Why Youth Workers Should Blog’. Since then a few blogs from statutory sector youth workers have made it onto the web, but not all that many. One of the strongest argument I can see for encouraging more youth blog blogging is the central role that ‘reflective practice’ should play in youth and community development work. In my own work I’ve found blogging to a key tool for my own reflective learning – with the added benefit of making it into shared learning – where I can benefit from the insights of others who read and comment on posts, either via blog comments, or face-to-face. [Blogging] is something we have thought about, for the reasons you listed, but have always come up against the concern over confidentiality. I don’t mean the obvious concern of revealing identities or specific case details, but the general concern of talking about real life young people without being able to check the content is OK with them, or even just simply running the risk that they may recognise themselves in what is being said and feel violated or unhappy about being talked about. …one of the young people who sits on our advisory board made the point that someone thinking of coming to us, who went onto our website and saw us talking about the work done with other young people could be put off as they would think ‘they could talk about me or my case if i use this service’. Whilst I often try and use a particular story to give context to a blog post, part of my reflective blogging is about drawing out general point from the experience. If I start writing a narrative blog post, and it strays into content which could be confidential, or which I’m not sure should be immediately public, then I’ll often change the headline to one more general, and rewrite the post to draw out the point of learning – rather than the origin of that learning. With a few exceptions (and only for organisations) I’m either writing explicitly about someone or something, confident that I either have consent or that I am happy for the subject to know about and read the blog post in question. Allusions to people or situations so that people could work out what something is about with enough background information are out. Sometimes even a general learning point can be problematic if people involved will be able to work out the situation it is drawn from – and if this reveals information that people involved may wish is not shared widely. In these cases, sometimes a blog post may end up in the draft folder for a while, either for the point of learning to be combined in with another post, or to be posted in the future – when sharing it isn’t such a sensitive issue. I try not to blog anything which I wouldn’t be happy discussing with the people involved in the blog post – and to blog on the spirit of constructive comment rather than ranting or criticism. How do you deal with the tensions between blogging on sensitive topics – and benefit from the shared learning potential of reflective blogging? Author timdaviesPosted on June 19, 2009 December 2, 2018 Categories YouthworkTags blogging, Reflective Learning6 Comments on Confidentiality and blogging as reflective practice? I've just been interviewed for an article about how blogging can be used to promote positive activities. Using blogging as part of promoting youth work was only one part of one of the 7 reasons why youth workers should be blogging – but in the interview I found that it can be usefully broken down into three parts. 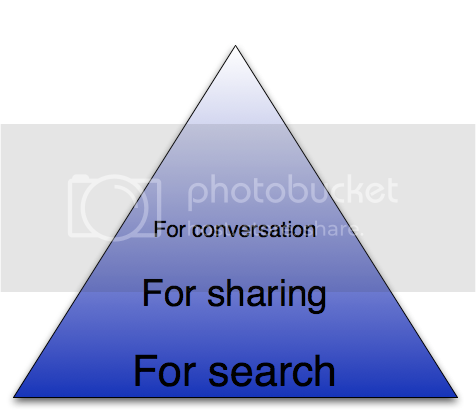 Blog for search – share information – many young people expect information from multiple sources – and they will expect information to be available online. 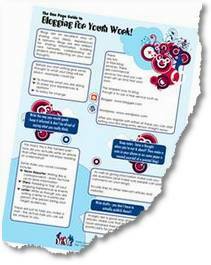 If a young people have seen a poster or a flyer for your event then there is a good chance some will try and google search details of the event later on – either to check what it was all about, or to check the time/venue etc. A blog provides a very quick publishing platform to get information out there and to get it picked up by search engines. A dedicated blog for your youth club is going to be far easier to keep up-to-date than pages on a local authority website. And it's quite likely to perform better in search engines for particular queries about your events and activities. Blog for young people – share media – at just about any event with young people there will be photos taken and video clips recorded – and it is highly likely these will be shared online. Rather than ban photos and videos at an event because of safety concerns – youth services can take on the role of providing safe online photo and video galleries from events – where images are only displayed with consent and where any young people can ask for their images to be removed if they wish. Blog for you – consultation and conversation – once you've build a community around a blog with media and content attractive to young people – then you can start including blog posts that ask questions of young people, invite comments and help you to improve your services. You can share information about upcoming decisions that need to be made, or you can create blog posts that ask a question of young people – and you and they can use the comments feature on a blog to engage in conversation about the issues in question. These three parts may even be seen as 'stages' of starting to blog to promote youth services – as whilst blogs provide an instant publishing platform, it does take time and intentional effort for them to build a regular readership and a community. Perhaps we will have a session at the UK Youth Online unconference on the 27th September 2008 to explore blogging to promote positive activities. If you're interested then do come along. UK Youth Online is a free and co-created event – and you can find more details about it, or register to be part of it, here. 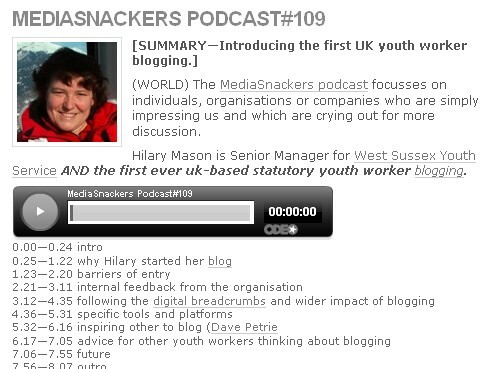 DK from Mediasnackers has spoken to Hilary Mason from West Sussex Youth Service about her blogging over at UK Youth Blog and has put it together as a PodCast.You can listen to it here. First off, appologies for my lack of blogging of late. There's a lot to blog, but I'm having to put all my time into getting a few big projects rounded off right now. However, I thought I should break blog silence to introduce the 31-Day Comment Challenge. It was the 31 days to a better blog challenge co-ordinated by Michelle Martin that really get my blogging started last year, and Michelle is leading the way in reflective learning again this year – this time with a focus on commenting on blogs and creating conversation. You can join the challenge by following each of the daily tasks throughout May (you don't have to strickly work on them day-by-day) and it's a great way to more actively engage with blogs and blog-based community building. Last week I met up with Alice Casey from Involve for a short chat about all things participation, and we quickly got onto talking about the role of social media in connecting the many participation people working in different areas of the country, the world and the web. In the conversation Alice mentioned that she'd been thinking of starting a blog… and would give it more thought again. 2) Whatâ€™s the use? I wonâ€™t have anything interesting or useful to say that hasnâ€™t already been said by someone wiser. 3) Blogging is something other people do – Iâ€™m a commenter not a writer! Itâ€™s just â€˜not meâ€™. So – um, if you're involved in participation, stakeholder engagement, blogging for learning etc, do head over and say hi. One thought that occurs to me though is that your point about blogs for professional development may be the best entry into blogging for people. It's a safe, low-risk way to start blogging. I think part of the resistance comes from feeling like you have to do this really public thing where you're blogging to market your organization and what if you say something people don't like or whatever? But if people are blogging to support their own learning–to reflect, etc., this might feel safer. It doesn't even have to be public for that matter. A tool like Vox would also give a way for people to blog both publicly with a network of other youth workers and privately for their own reflection, all on the same blog. And since then I've heard from a number of trainee youth workers who are keen to get make use of blogging and social media to support their learning, development and community building. Well, with fantastic timing, Michelle has launched into another learning challenge (it was Michelle's call to action on the 31-days-to-a-better-blog challenge that really encouraged me to be a more active blogger), this time focussing precisely on blogging for learning. Michelle has put together a Wiki of 18 different styles of blog posts with examples that can be used to support learning, and will be writing a post in each style over the next two months. If you've been thinking about starting a blog, but haven't known how to launch into it, joining this learning journey could be a great way to take your first steps . Two of the reasons I gave in my recent post '7 reasons why youth workers should be blogging' were to share resources, and to build networks. 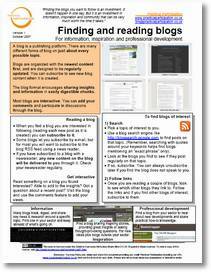 Well, following some blog-based networking and discussion sparked by that post, I've just logged on to find Mas from the the YOMO Breakfast Society blog has drafted a fantastic 'getting started guide' for youth work blogging resource. And DK from MediaSnackers who has been taking advantage of his speaking gigs around the country to encourage youth service blogging is proposing a video intro as well. Blogging and collaboration in action. You can find the draft guide Mas has written attached to this post, and he is inviting feedback to help build to a final version of the guide. It would be great if readers with experience of trying to promote blogging in different sectors and organisation could cast an eye over the guide an offer any advice. The guide is also really interested in helping me to think about developments for the one-page-guide series – as somehow Mas has managed to fit a fantastic amount of information into the 'Blogging for Youth Work' guide whilst at the same time managing to keep it looking a lot cleaner and less cluttered that the guides I've been developing so far. 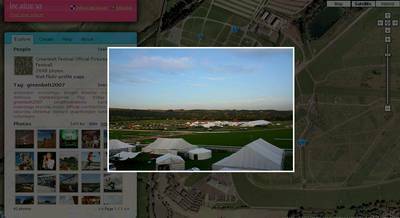 I'm back from my annual pilgrimage to the Greenbelt Festival (official website) and I've got six hours left till the end of August and the 'deadline' for the 31 days to a better blog challenge. So, it seems like a good time reflect on the month of blogging, what I've learned, and to see if I can tick off any of the remaining tasks on Daren's task list. I started blogging in May this year, after many years considering starting and one or two aborted attempts. Over August this blog has evolved from a fairly assorted collection of posts, to have a stronger focus on youth participation. It provides a space for me to share content, engage in discussion, and invest time in critical thinking. I try to link across to other blogs as much as possible in posts where the work of other bloggers adds to the topic or post in question. I realise, however, that I've often done that just by talking about, for example, Mike's blog, with an inline link, flooding the top of posts with lots of links, and not being selective enough or purposeful enough with my linking to other blogger. Perhaps less can be more in terms of links pointing blog readers to the blogging of other readers. Daren also suggests increasing the profile of readers on a blog by using comments as the basis for posts. This seems a great idea, not only in that it highlights the comments of a particular reader, but it shows that comments contribute to a debate in the blogosphere. Roger Schmidt (whose group blog with the Lutheran World Federation has made it into my reguarl reading list and is already providing a lot of food for thought) provided me this week with an opportunity to build a post around a readers comments. I was challenged to think about the concept of the 'voice of youth' by Roger's comments, and found I couldn't fit my reflections into a short reply, so this post emerged and can hopefully provide space for more discussion. During the 31 day challenge I've made a lot of changes to my about this blog pages – but readers keeping up with Tim's Blog through the RSS feed or e-mail updates and regular readers won't see changes to that page. These 31-day pages have done a lot to keep readers up to date on the evolution of this blog, but as Daren suggests, periodic updates to put blog posts into context can be an important part of effective blogging, so do look out for these context-setting posts in the future. I've already mentioned that I can be 'link happy' with my blogging. More links now, however, means more chance of broken links in the future. A quick check using Xenu's Link Sleuth didn't show up any permenant problems right now (although it did show a few links to other blogs that timed out…) – however, I will need to keep an eye on links in the future. There is an interesting challenge for those blogging in the youth participation and youth work niche. I primarily work on, and reflect on, work with young people in secular contexts. 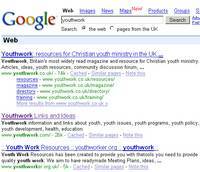 However, if you search for youth work online, you'll find predominantly faith based youth work blog posts, which can be a very different niche. I'm not quite sure how to resolve that yet, but I'm hoping that an upcoming seminar at Leicester De Montfort University by Thomas Vander Wal (intentor of the term folksonomy and recently blogging on the state of tagging) might provide some space for an exploration of keywords online. For day 25, Daren suggests visiting a local shopping centre and watching people's behaviours to find lessons transferable to blogging. I wish I had picked up this challenge on the 25th of August, rather than when I returned from Greenbelt festival. As a phenomenal example of a temporary community – packed full of creativity and celebration, chance interactions and deep conversations, serious commentary and off-topic commedy it seems a far better mirror of the blogosphere that I want to engage with than does the commercial world. The youth work seminar series at Greenbelt has certainly given me a lot to think and hopefully blog about. Much of the content for this blog emerges as a result of my full time work, and so that does, in a sense, act as sponsorship for my blogging. Although I've not, as yet, looked carefully enough at building time to reflectively blog into my costings and work plans. As blogging does act as a powerful reflective learning tool, that is something I'll be exploring. I'm still evolving a mission statment for this blog. My principles are a first part of that evolutionary journey, but this task will have to wait till I've got a long train journey to spend some time reflecting. The 31 day challenge has encouraged me to become a lot more interactive in blogging – and that pays real dividends. It also take a lot of time. The challenge is in finding equilibrium – knowing when interaction is valuable, and when the fact that someone links to something I've written (either here or elsewhere on the web) can lead to more than platitude. A bit more reflection on how I move forward with a sustainable level of online interaction is also scheduled in for the upcoming train journey (hmm, and I find myself hoping for delays again!). Only four hours left now (there were six when I started writing this post!) till the end of August, and I think, for the sake of being able to get some rest this evening, and for your sake (my attempt at a SWOT is likely to run on a bit…) I think my write up on these two task shall have to slip. I'm already to be found in many social media spaces. 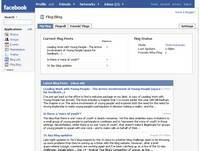 And I've been exploring integrating my blog better with facebook using FlogBlog this month, as well as enjoying the interaction offered by MyBlogLog – but I'll leave more commentary on my experience with social networks and blogging for a later date. The 31 day challenge has been a valuable learning experiment for me in blogging, and I'm not yet done with all my learning from it. I hope that these posts have provided some insight into the process (although I admit they've not always distilled learnings as much as I'd like… something I'm still learning to do) and that they've not disrupted the flow of other posts. 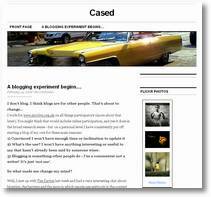 Of course, as this isn't a money making blog, this is more about analyzing other blog in the same field / talking about similar or complementary topics to explore what they do well, and how Tim's Blog adds something to the picture. As far as I can tell, reflective blogging in the secular youth work sector is relatively slim on the ground. Christian youth workers seem to have all-but-claimed the term 'youth work' online (which throws up interesting challenges for developing blogging amongst non-faith-based youth workers in terms of finding tags and keywords that both allow cross-overs and distinctions between faith-based and non-faith-based youth work), and whilst there are a lot of bloggers talking politics, not all that many focus on young people's political empowerment and participation. One key learning from exploring other blog I read regularly, and particularly from taking part in the international-in-nature 31-days challenge, is that I need to look more carefully at the language I use. For example, I often talk about youth participation, but, as Mike asks, what is youth participation? I've started work on finding out exactly what the niche of this blog is, as that should help me work out what assumptions about terminology I can make, and which terms I need to explain. So far I've drafted up some principles for this blog, and I'm considering trying some definitional posts (answering the 'What is participation?' question and related others) in the near future. Hopefully with that done, I'll be able to have a strong sense of what I am writing about, and how, when I've worked out who 'the competition' is, it can always be bringing something extra to the picture. I write a blog chronologically. Visitors often arrive from search engines. Many will not know what a blog is. If, with a few extra clicks, a visitor could find something useful on this blog, or may find a subscription to the RSS feed or e-mail updates useful – then I'd like them to realise that they can and so to 'stick' around on the blog for a little longer. Where posts are part of a series, it would be great if readers were supported to stick around and read the rest. Making sure every post explains in some way that it is part of a blog, and has details of how one can interact with a blog (like the About page compressed into a few words). Making it easy to contextualise blog posts that are part of a particular thread of series along with their companion posts. 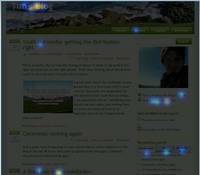 A website heat map displays spacial areas on a web-page where users click most often. Standard web-statistics only tell me that from the front page, 45 users visited my about page… whereas a heat-map will help me identify which link they clicked in order to do it. I added a crazyegg heatmap to the front page of Tim's Blog a couple of days ago, and whilst there isn't a wealth of data flooding in, it has already persuaded me to switch from whole blog posts displaying on the front page, to only displaying the first few paragraphs with click-for-more links. It highlighted what my statistics already suggested, which was when there was a long post on the front page which pushed another new post 'below the fold' (off the screen), the new post just off screen got only 1/2 the traffic of the top one. I was also suspired by how many people were clicking through straight away to the About Tim page over the About This Blog page, so, thanks to this and earlier encouragement from fellow 31-day challengers About Tim has had an overhaul and hopefully gives a better idea of exactly who it is writing all this. 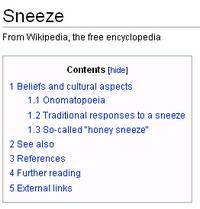 A sneeze page is a sort of landing page to summarize a particular topic and show what a blog has to offer on that topic. As Tim's Blog is still building up content that would need the sort of 'crating' a sneeze page offers, I'm going to hold off on creating anything in particular right now… but again this is going into the little list of blogging good-practice and 'content-curation' tips.